The film is about a maniac killer who is killing girls at St. Mary’s. When a schoolgirl witnesses a murder, she has a hazy recollection of the accounts. Her account does nothing to help the police investigation as they thing the main suspect her teacher (Fabio Testi) who she is having an affair with that student. What could be the reason for the killing and what does Solange have anything to do with the investigation. The film also stars Cristina Galbo (Living Dead at the Manchester Mourge) and Camille Keaton (I Spit on Your Grave). 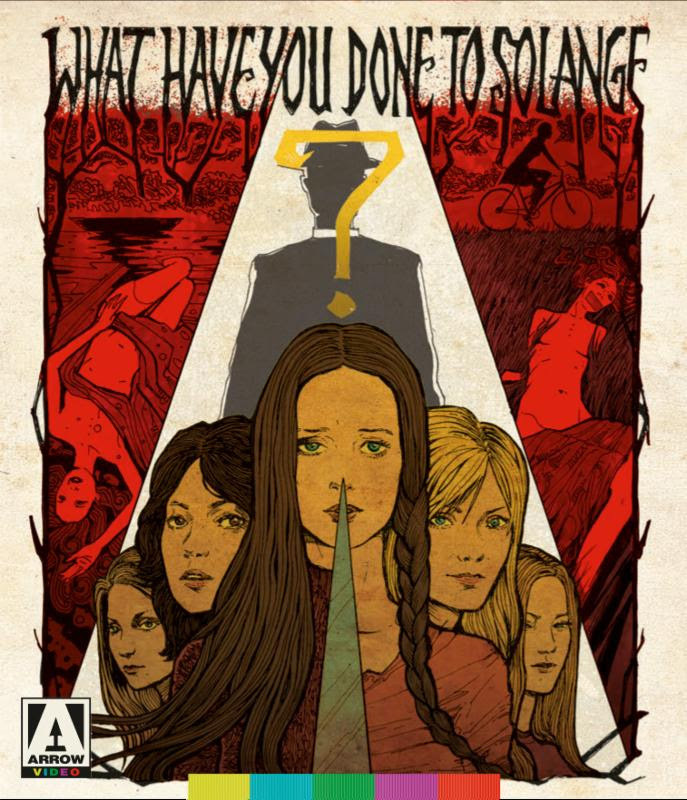 Even though this isn’t on the level of some of Argento of Fulci’s films, I still liked “What Have You Done to Solange?” One of the reasons that I liked this film was the fact that it had great direction from Massimo Dallamano. What makes it work was his ability to keep things moving. Whether it’s the way that he handles the subplots to how he makes some of the death scenes have a horrific feel to them, it helped make the scenes move at a good pace. Dallamano also does a very good job making sure the acting fit the film’s dark and creepy tone. The performances in this film was very good especially from the film’s leads Fabio Testi and Karin Baal. Dallamano does a great job making sure that both of these actors have good chemistry with each other. It helps with the whole subplot with their characters marriage and how they try to find the killer. The screenplay written by Dallamano and Bruno Di Geronimo was very good. What makes this screenplay good was the fact it’s able to keep its dark and creepy tone throughout. Whether it’s how the story was created to how some of the action was written, this screenplay had a tone that gives you an uneasy feeling when watching this film. This makes some of the horrifying scenes work so far. The other thing that makes this screenplay good was how the main character develops during the course of the film. In the beginning I really didn’t like the character as he came off as a sleazeball, but as the film along I became interested as he’s trying to solve these murders. It’s credit to the decisions that the screenwriters made during the course of the film. With its great direction and good screenplay, "What Have You Done to Solange?" is entertaining and horrifying gallo film that will keep you on edge. Labels: Arrow Video, Reviews, What Have You Done to Solange?